In this follow-up to 2014's best-selling Kitchen Hacks, the expert editors at Cook's Illustrated magazine have applied the same creative thinking to a new Q&A-style book. 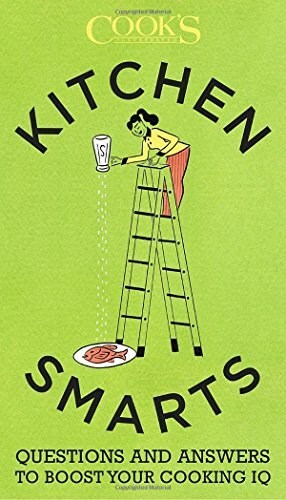 Kitchen Smarts packs together hundreds of definitive, researched, kitchen-tested answers to questions large and small, common and bizarre. There are no dumb questions but there are dumb--and wrong!--answers, we're here to protect you from those and help you become a better, more confident cook.